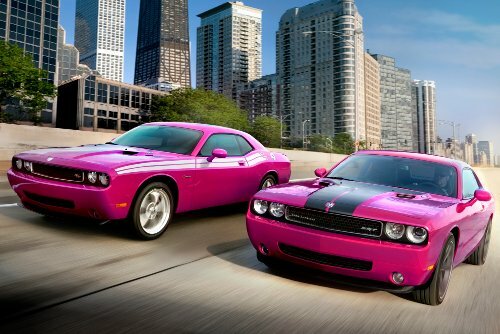 Auburn Hills, Mich., Feb 8, 2010 - Two of the wildest and rarest 2010 Dodge Challenger models will soon be available to Dodge fans and collectors to commemorate 40 years of Dodge Challenger performance; the 2010 Dodge Challenger R/T Classic and Challenger SRT8 Furious Fuchsia editions. With its Furious Fuchsia Pearl Coat exterior paint and all-new Pearl White leather performance seats, these limited-edition Dodge Challenger models deliver the best of modern American muscle-car characteristics -- unmistakable design, world-class handling, powerful HEMI V-8 engines and technology -- now in one of the most significant hues. "Commemorating four decades of Challenger performance, the new R/T Classic and SRT8 Furious Fuchsia editions modernize one of the most memorable hues from 1970 to create a modern muscle-car that exudes more performance, passion and even more nostalgia," said Ralph Gilles, President and Chief Executive Officer, Dodge Car Brand and Senior Vice President -- Product Design, Chrysler Group LLC. 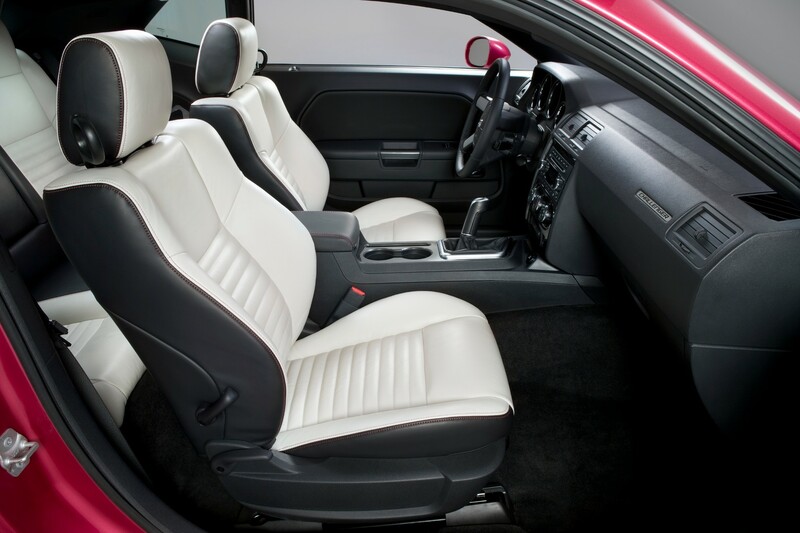 "As an ode to our Dodge fans, these highly collectible models feature all-new Pearl White leather performance seats with Furious Fuchsia accents to deliver a customized, yet contemporary look to the heritage-inspired interior. Sum it all up, and Dodge is delivering a muscle-car tribute that no other manufacturer can even match." When paired with the Tremec six-speed manual transmission, the 2010 Dodge Challenger R/T Classic Furious Fuchsia edition includes the performance-minded Track Pak with precision-shift "pistol-grip" shifter, anti-spin 3.92 differential and a performance-tuned dual exhaust with two low-restriction bottle resonators for maximum "throatiness". And when it's time to deliver, the Furious Fuchsia R/T Classic can accelerate from 0-60 mph in less than six seconds with its powerful 376 horsepower (280 kW) and 410 lb.-ft. of torque (556 N-m) 5.7-liter HEMI V-8 engine. 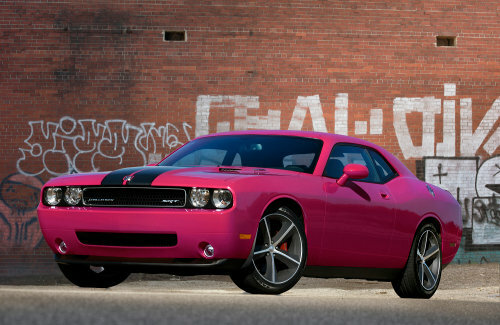 If the tire-smoking Furious Fuchsia R/T Classic is not exciting enough, the 400 ultra-exclusive 2010 Dodge Challenger SRT8 versions delivers even more punch with a 6.1-liter HEMI V-8 engine -- with engine block lacquered in original HEMI Orange paint -- producing 425 horsepower (317 kW) and 420 lb.-ft. (569 N-m) of torque, performance-tuned ride and handling, benchmark braking and race-inspired interior with unique SRT-designed appointments. The 2010 Dodge Challenger merges the best American muscle-car characteristics.unmistakable design, world-class handling, powerful engines and technology -- to delight driving enthusiasts across several generations. 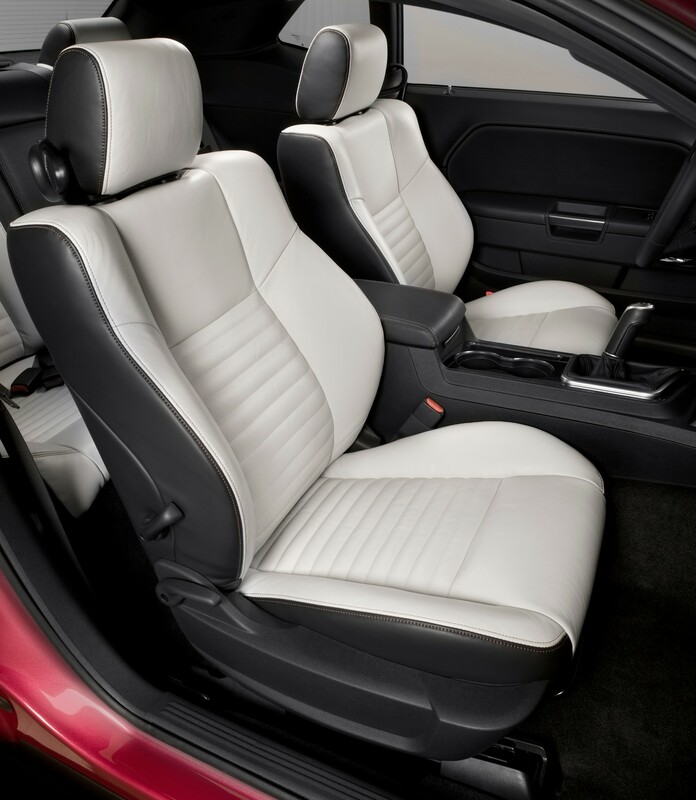 The Dodge Challenger is produced on the company's proven rear-wheel-drive platform to accommodates five passengers with best-in-class rear head and leg room, along with best-in-class cargo space equal to the Dodge Charger. With three models of head-turning styling, two legendary HEMI V-8 engine choices, up to 25 highway miles per gallon (mpg), more than 25 safety and security features and modern amenities, including Media Center 730N with voice-activated Uconnect. Navigation system and real-time traffic available, it's no surprise Dodge Challenger was awarded J.D. Power and Associates "Most Appealing Midsize Sporty Car" in its 2009 APEAL Study. Dodge introduced two new vehicles for the 2009 model year: the all-new 2009 Dodge Journey, the brand's first crossover vehicle and the 2009 Dodge Challenger, a modern-day American muscle car. Dodge also celebrated the 25th anniversary of the minivan during the 2009 model year. With more than 65 minivan-firsts introduced since 1983 and more than 12 million Dodge and Chrysler minivans sold, Chrysler Group LLC has solidified its leadership in the segment. J.D. Power and Associates further acknowledged this leadership by naming the Dodge Grand Caravan the Most Dependable Van for 2009. The 2010 Dodge Grand Caravan continues to set the mark in the minivan segment with unsurpassed fuel economy of 17 city / 25 highway mpg and minivan-first innovations including the segment's only Stow 'n Go and Swivel 'n Go seating and storage systems. 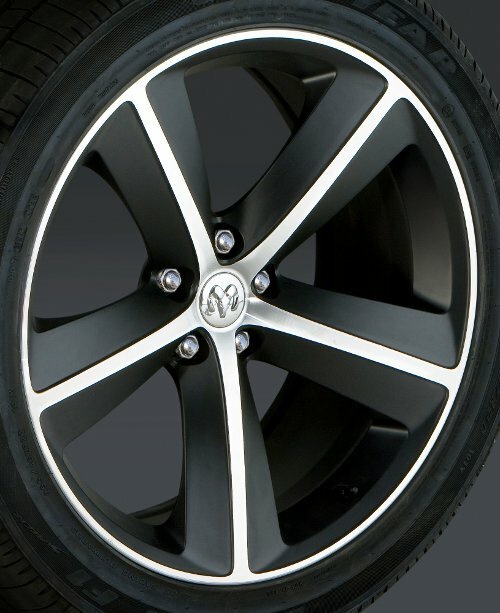 The 2010 Dodge Avenger, with ESC, also earned the 2009 Top Safety Pick rating from the IIHS.